Summer is fast approaching and children get to stay at home with us! A fruitful season that starts this month may be spent in a vacation from work and school. Where else can we possibly have a good holiday, but in a place where we, ourselves, feel most at home. 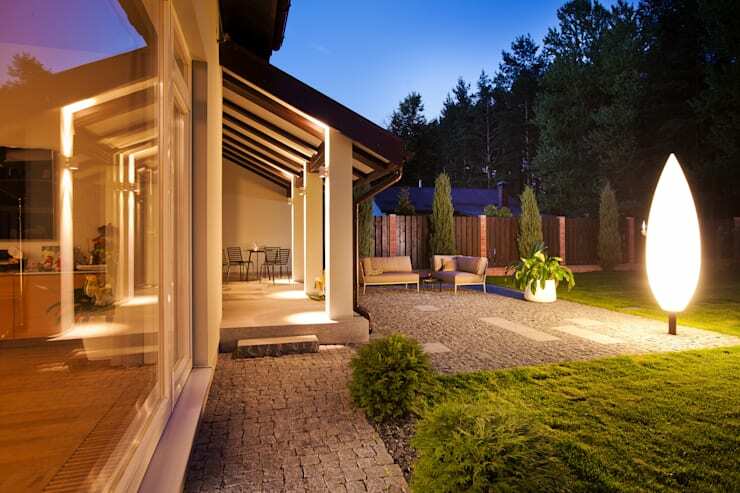 Modern home styles with a modern atmosphere is in for the modern Filipino family. What elements could possibly make a relaxing atmosphere for the Filipino family? Find out below. A lovely lawn area that has been filled in with a sofa beside an ornamental plant is a beautiful and relaxing sight. This view incorporates the lovely wood designs within the home. 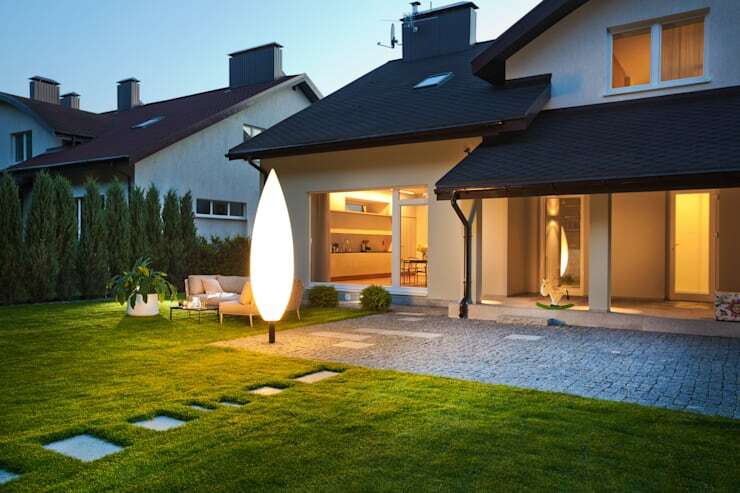 The featured design of a torch as a light post gives this quiet area a modern look. The light tone added to the tranquil atmosphere of the space. Come home, some from the kitchen and the dinner before. Architects use wooden materials to decorate a wooden core. And the use of tables and chairs together with a brown background. Wood makes a home warm and very livable. Furthermore, even a kitchen counter white to make it look even more beautiful. 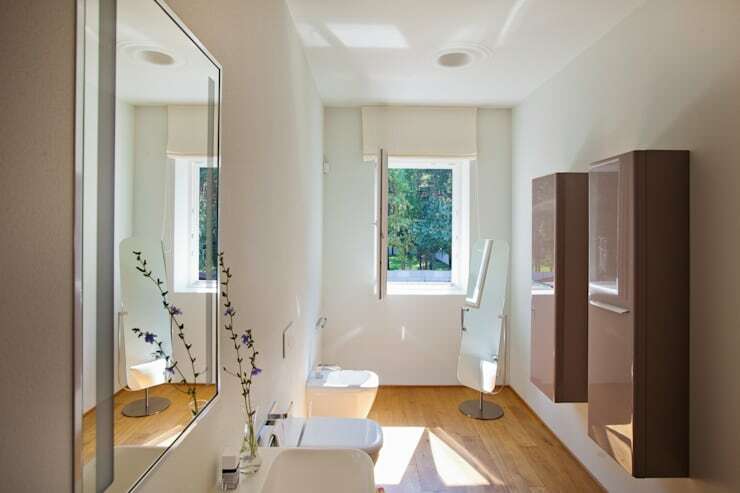 What is interesting is the use ใhii than one large glass walls that allow natural light in. And to connect the inner and outer courtyards that are closer together. The idea is very good. Such a wonderful sight brings one to the wood ideas that we see on its furniture. The shades of cream and light brown and the sunlight that illuminates the area bring a fulfilling experience as one dines. 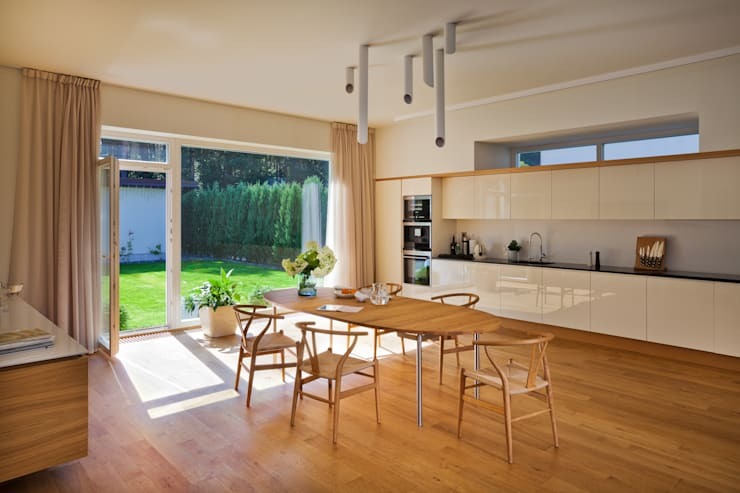 The white color that dominates in the space has been given a toned and fresh look with the wooden flooring. 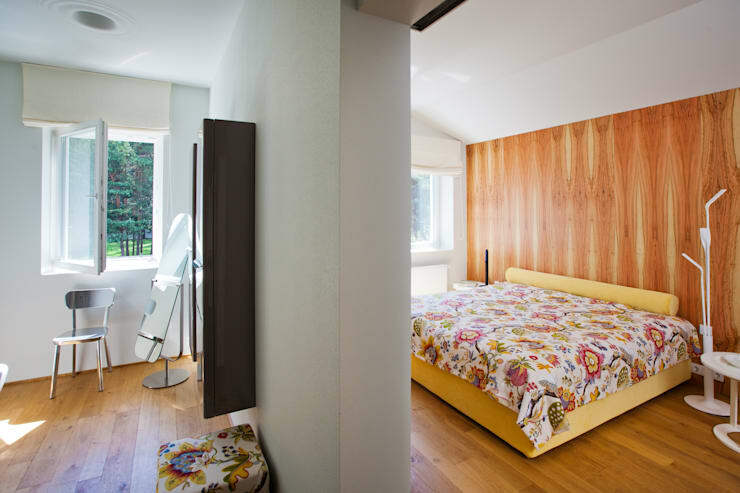 A relaxed atmosphere in the bedroom has been provided with a striped sheet of wood that also gives it the modern aura. The hues of the natural color of wood and the floral accents of the sheets against the yellow colored bed makes it more conducive for relaxation. This feature culminates with the captivating design in the living room. The combination of the cream-colored sheets and the white curtains complements the wooden flooring, wooden furniture, and fixtures in this modern space. 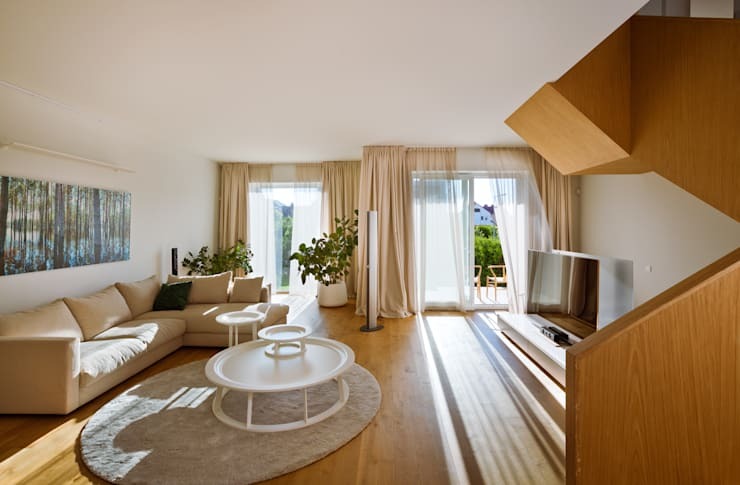 Cream-colored sofas with the circular design of the table just bring out the best in a relaxing modern home!